Posted on 3. October 2015. 28. October 2015. by Claire H.
The Rogue and The Wolf specialise in edgy and intriguing jewellery, featuring unique 3D printed items and designs. They offer a large range of rings and necklaces in a variety of finishes. 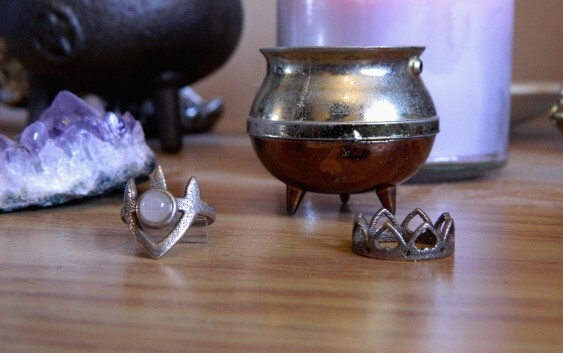 I purchased the ‘Priestess’ and the ‘Queen of Hearts’ rings a few months ago in the Old Steel finish. 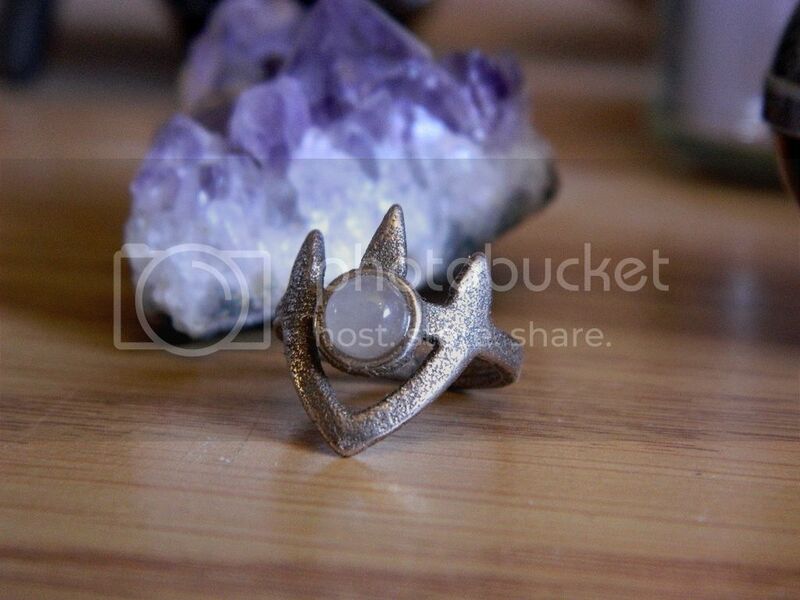 I purchased ‘The Priestess’ ring as I did not own a midi ring in my collection, and I emailed The Rogue and The Wolf to enquire whether or not they would be able to make me a custom sized ‘Queen of Hearts’ ring in Old Steel to fit my tiny fingers, as I had been admiring the ring online for quite some time. The ‘Priestess’ ring features a crown or headdress structure adorned with a single lavender amethyst stone in the centre. I bought both of these rings in the Old Steel finish, but they are also available in black. The finish is a beautiful golden colour, and very unusual. According to the website, the Old Steel finish is 3D printed in stainless steel and infused with bronze. This ring is slightly too big for me, so I wear it with a clear ring adjuster that I purchased on Ebay. It sits perfectly in the middle of the top half of my finger when worn with the ring adjuster. I had never previously owned a midi ring before, and it is an incredibly striking piece. It complements the other Old Steel rings I have wonderfully, and the lavender stone sparkles in sunshine. It appears a light pink in sunlight with a slight purple undertone. 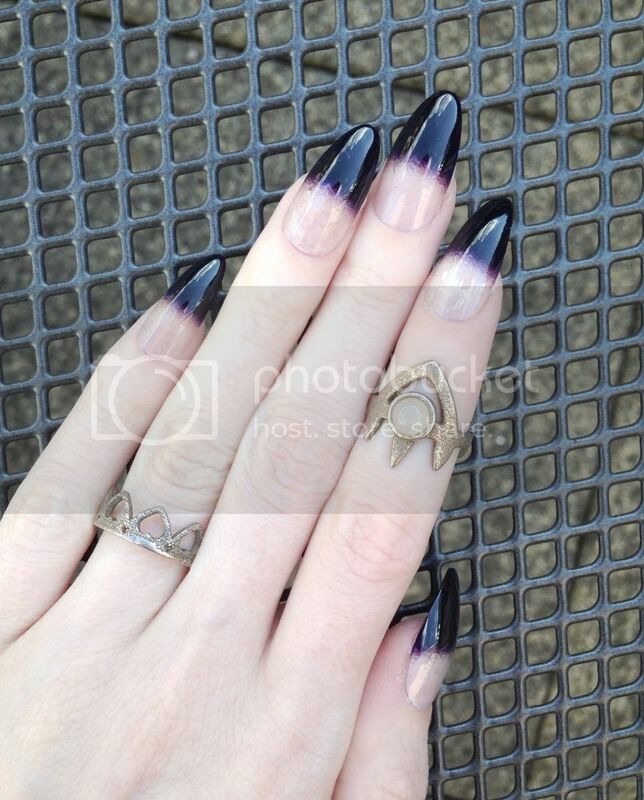 It is very comfortable to wear and it is just the right size for a midi ring. I purchased the ‘Queen of Hearts’ ring several months ago after admiring it online for several months. I am a H and a half in UK ring sizes, and I emailed The Rogue and The Wolf to ask whether or not it would possible to order a custom size. They responded very promptly and informed me that a custom size service was available and that since I was ordering a ring smaller than what was available, it would not cost me extra to order a custom size. It took a little longer to arrive since it was an individual custom order, but I was very pleased no extra costs were involved with ordering a smaller ring. A ring of hearts decorates the ring, with tiny heart details around the ring band. It is a lovely little ring, and remains beautiful whilst retaining its subtlety. I cannot wear it when my fingers are swollen as the crown catches (I discovered this when I had a mosquito bite), but it is very comfortable to wear usually. It’s very dainty and sweet, and perfect if you looking for the perfect combination of girly and edgy. It is suitable to wear for work and for casual events and appointments. I am incredibly pleased with both of these pieces. Shipping is expensive from The Rogue and The Wolf, but they also have a Spell Points scheme which can be used to save money and earn rewards whenever you purchase any of their products. Spell Points can be redeemed for discount vouchers or free postage vouchers, so they worth saving up. I cannot fault the quality of either of these pieces, and I am hoping that I will continue to wear them for many years to come. 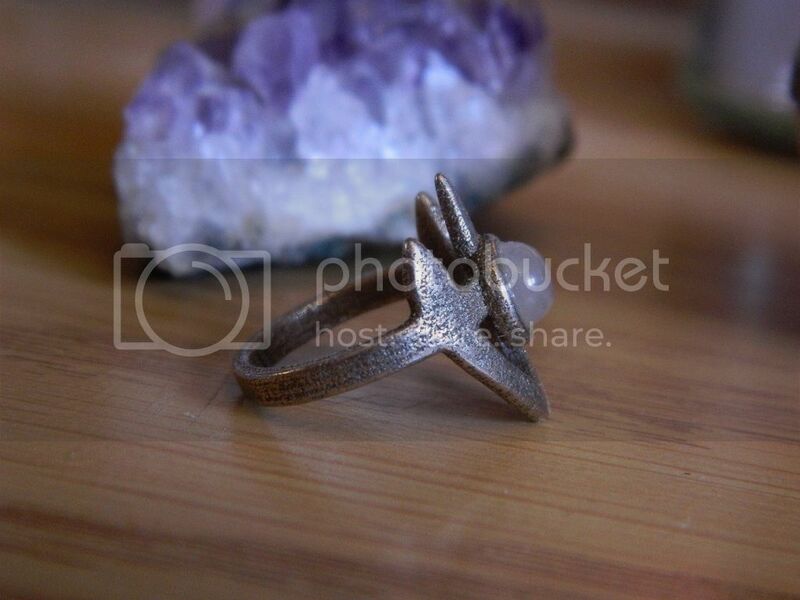 The ‘Priestess’ ring is available from The Rogue and The Wolf website. 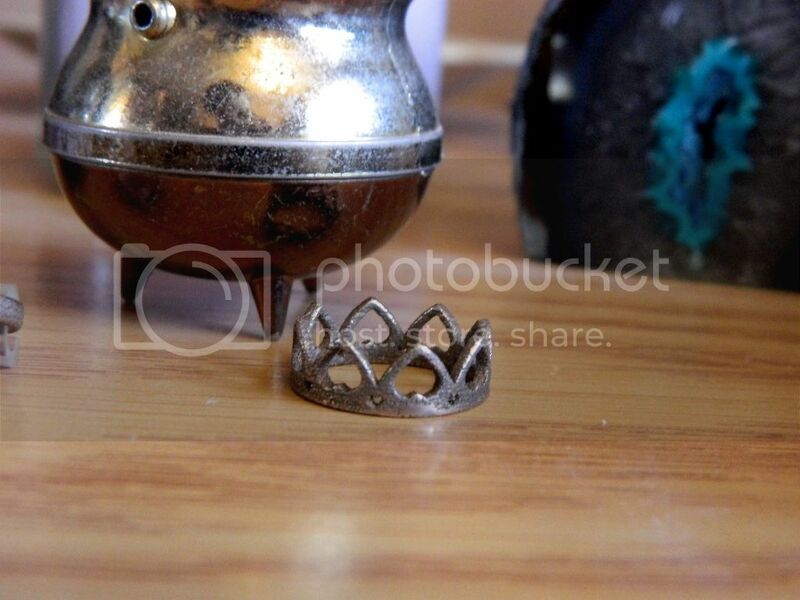 The ‘Queen of Hearts’ ring is available here.